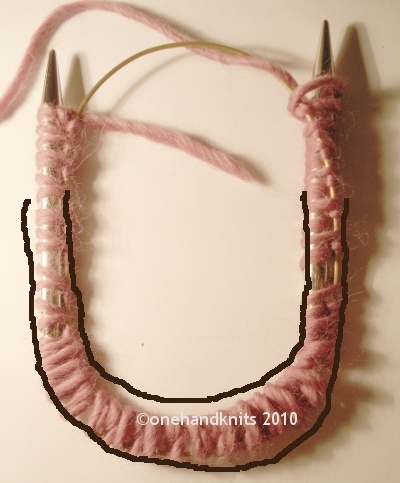 A Möbius scarf is a continuous loop of material, in this case knitting, with one 180 degree twist in it so that the inside becomes the outside in a geometric display of infinity. Although the initial cast-on seems complex, once learnt it is an addictive process that will resolve all your winter gift conundrums. Slide SK to a point half-way along the circular needles. 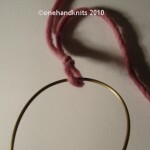 100-120cm are best length to use. 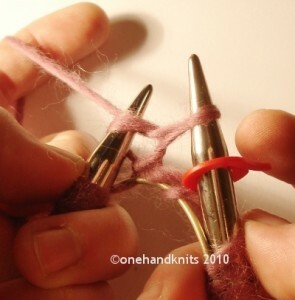 Bring needles round to form a double loop with points in opposition, level with the SK. 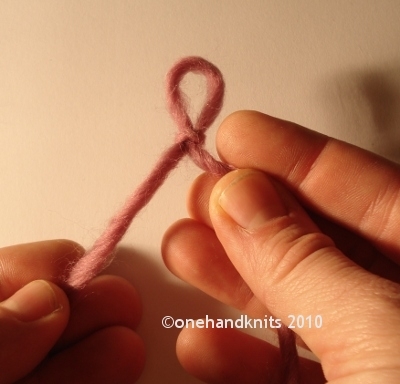 Hold the yarn tail in your right hand (RH) with needle A and the working yarn in your left hand (LH) with needle B. Hold LH away from the needle wire so that a triangle is formed between your hand, the yarn and the cable. 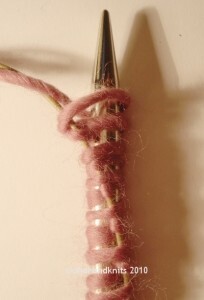 Move needle A under the cable. 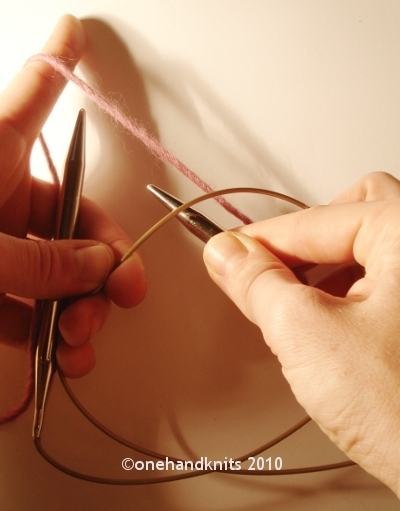 Catch the yarn from above and behind with needle A to pull a loop of yarn under the cable – this is the first cast-on loop. 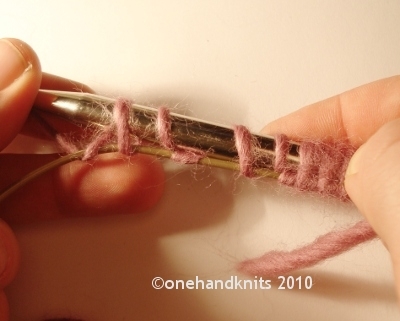 Now catch a second loop from the yarn above the cable – you now have two loops on the needle and two on the cable (one is the SK). 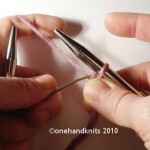 For the purposes of counting the cast-on rate you will only count those on the needle. Cast-on to desired number by repeating steps 5-7. Experiment with the number of stitches cast-on to get a Möbius of your desired length. 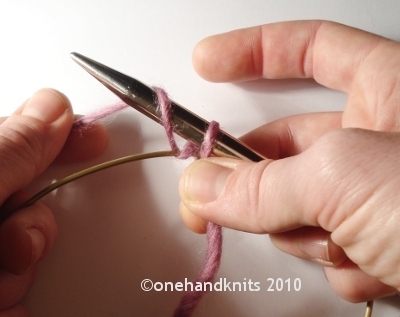 When you have your chosen number of stitches lay the double loop of stitches flat on a table and spread the stitches out evenly. 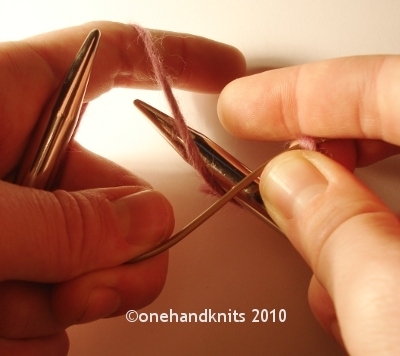 Feeling with your fingers through the stitches, ensure that the cables remain in parallel, like train tracks, from needle B until you reach needle A. 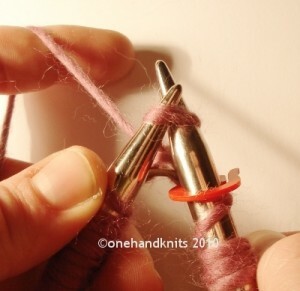 Allow needle A to cross under or over the cable just once to create the twist. Place marker on needle A. 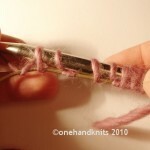 Holding the yarn taught, knit each stitch on needle B (at this point it does not matter if you knit into the front or the back loop). 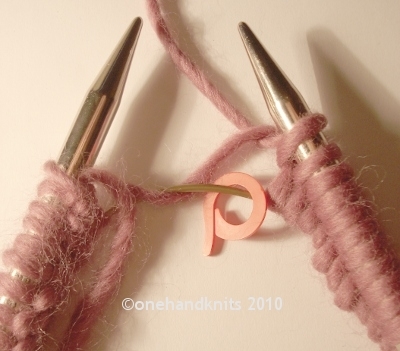 To make the join tight I find it helpful to cast-on one more stitch than the pattern recommends, slip this extra stitch from needle A onto needle B and then knit together (K2tog) the first two stitches. 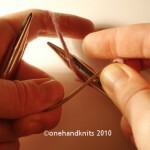 Be careful not to let your stitches slip over each other, otherwise you will knit them out of turn. 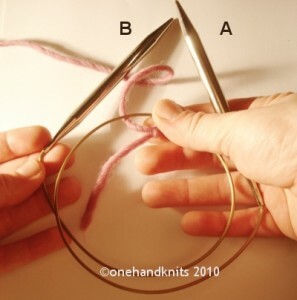 You will pass the marker once and continue around the second ring of the loop before coming to the end of round one. You should knit through the front loop on every stitch now unless otherwise directed by the pattern. 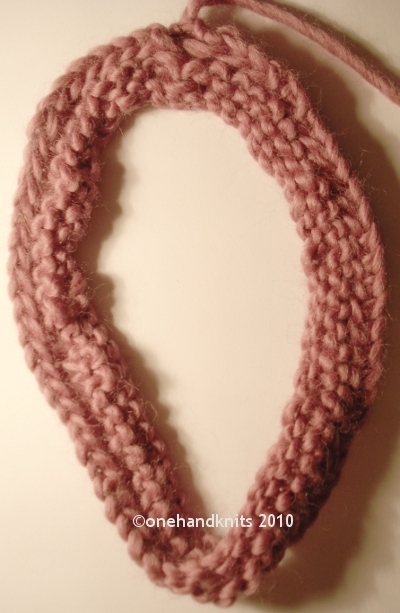 Continue in pattern until scarf reaches desired thickness. A very simple pattern would be to knit two rows, purl two rows and repeat. 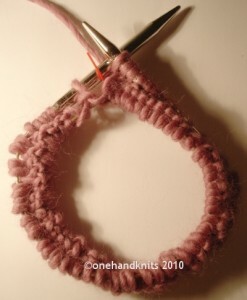 Cast-off loosely and tie in start and finish yarn tails. 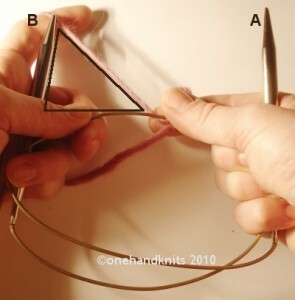 This entry was posted in Advanced, Knitting Tutorials and tagged adult, advanced, blanket, blankets, bootees, cast on, childrens, circular needles, circulars, clothes, clothing, coat, coats, commision, cowl, design, designer, dress, dresses, female, gloves, hat, hats, how to, intermediate, jacket, jackets, jumper, jumpers, knit, knitting, knitwear, ladies, learn, london, male, mens womens, mobius, purchase, scarf, scarves, socks, sweater, sweaters, teach, top, tutorial, twist, uk, wool, yarn. Bookmark the permalink. This is the best cast on instructions I have found for the Moebius. I can’t follow the videos. I prefer pictures I can refer back to. Thank you so much for this. Thank you for these instructions. 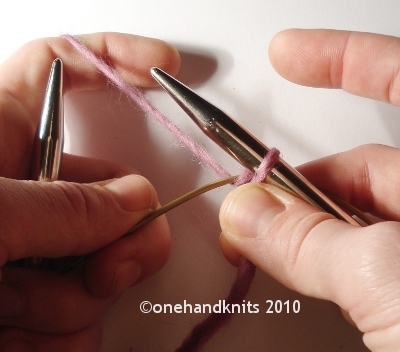 They appear to be doable….I am left-handed but knit ‘normally’ so life becomes a bit confusing at times. Thanks again.